Forever clear the silent saboteurs that have limited you, exposing and freeing your full potential to effortlessly manifest abundance in all areas of your life. Become a magician and part of the co-creative dance of manifestation and live in joyous abundance. 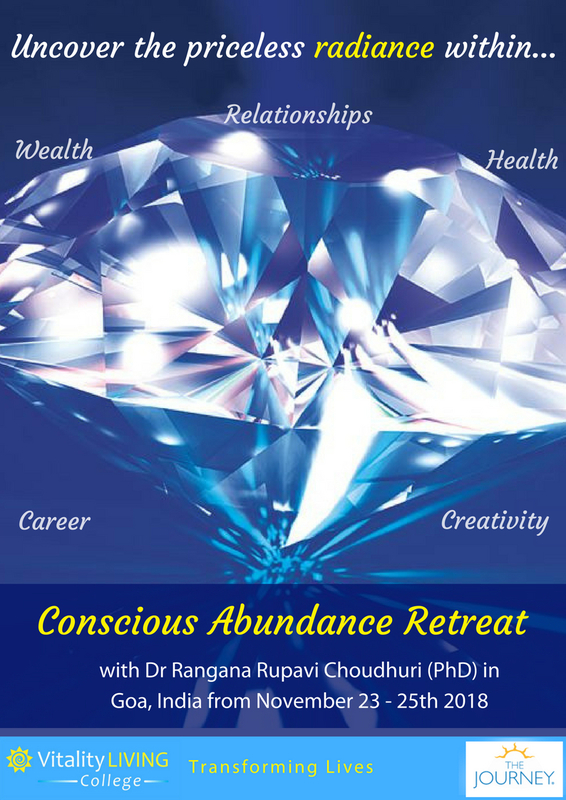 The Journey’s Manifest Abundance Retreat takes up where most programs on abundance leave off. While most courses teach how to put out for what we wish for in life, the question still remains, why does some of it come true and some not? What The Journey’s Manifest Abundance Retreat reveals is a deeper truth. It roots out and clears the ‘silent saboteurs’ that quietly undermine so many of our dreams and desires. And now is the chance of your lifetime to completely finish with all of these and go through a deep spring-clean of all the self-denying patterns that lie buried deep inside us all – the negative beliefs, the low self-esteem and self worth, the fears, the ‘not-good-enoughs’, the ‘I’ll-nevers’ –all the issues that have held us back on so many levels in life . Whether we recognize them or not, we all run these patterns, and at the Manifest Abundance Retreat you’ll unearth these, clear them out and finish with them, so you are free to welcome in all the abundance the universe has to offer. Warning: Abundance grads often manifest their desires and prayers quickly – so be careful what you ask for! If you want more out of life, more out of your career, more open creativity, more fulfillment, more self expression, more out of your relationships and family life, then this is the weekend to come to. It’s a nurturing and joyous residential retreat that will leave you soaring in the fulfillment of true abundance. Uncover and expose the limiting patterns, the silent saboteurs that have stifled and blocked your potential. Spend an entire day in process, in a massive and comprehensive house-clearing, as you set yourself free from all the silent saboteurs and blocks. Experience a resounding Freedom that opens you into the creative genius inside. From Freedom discover your heart’s deepest desire for you, as you ‘vision quest’ a brand new life. Brainstorm with others a dynamic action plan with practical ways to allow abundance to flourish in your life. Leave soaring in your true potential, ready to magnetize abundance into all areas of your life; health, creativity, financial wellbeing and relationships. Discover the secret of how to be a magician, part of the wondrous and magical co-creative dance of manifestation, and continue to create abundance ongoingly in your life. Residential program: Includes 2 nights accommodation and facilities on a shared basis and all vegetarian meals in a rural location with yoga and back to nature environment. It is a very simple and humble environment with basic bedrooms embraced in nature and organic living. This program is for Journey Grads only, you have to have completed Journey Intensive and Advanced Skills. This program is for Journey Grads only, you have to have completed Journey Intensive and Advanced Skills. 2 nights accommodation on a shared basis at a basic and natural eco friendly camp. The bedrooms are shared with your own bed and shared bathrooms. Places will go on a first come first served basis as there is limited accommodation. 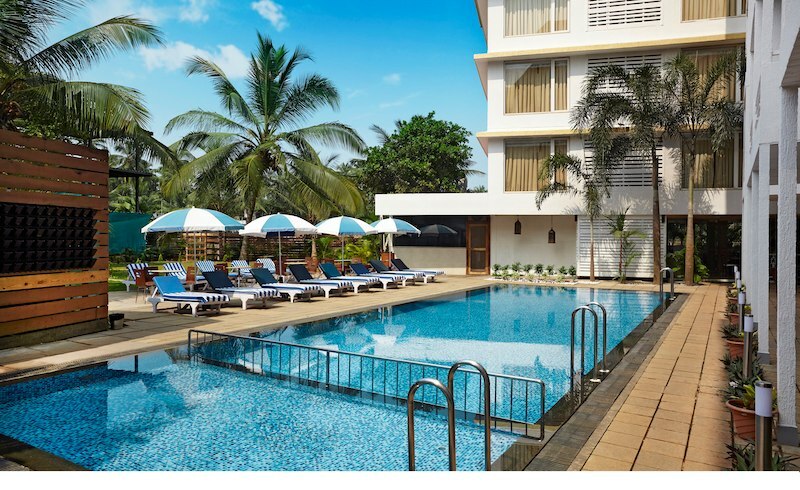 Venue and Address: Red Fox Hotel, Morjim, Goa .